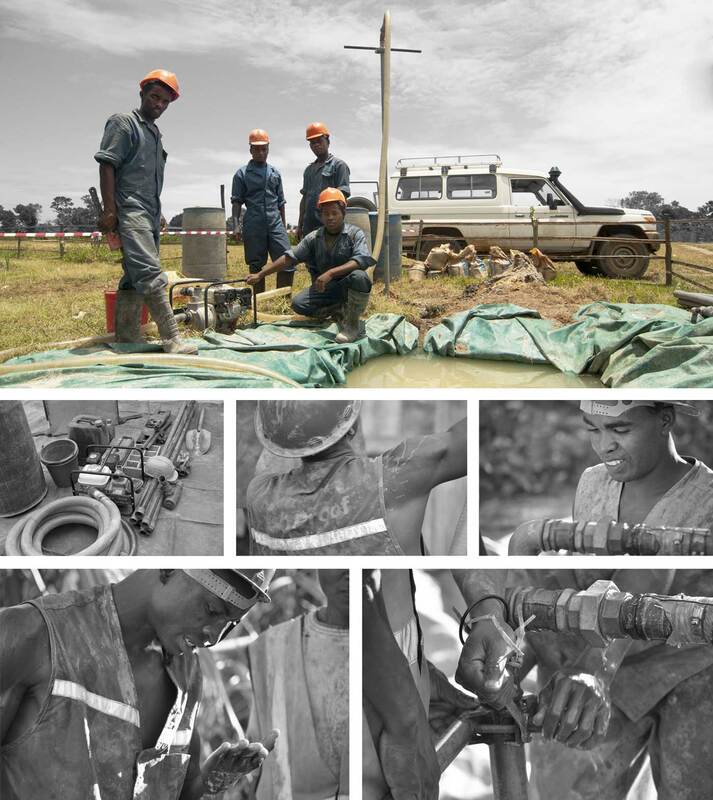 To meet the demand of a variety of different clients and project needs, we offer a range of water well construction techniques that offer maximum flexibility and capability. We have experience working in many different environments and can offer you the best solution to your particular needs. See below for more information about our capacity in this field. 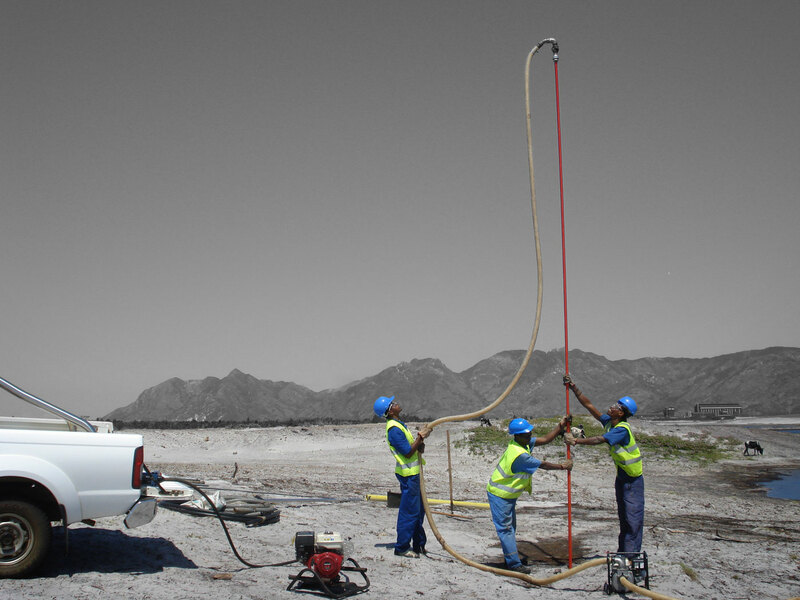 Well jetting is a simple, low-cost and very rapid method for well construction in sandy shallow aquifers. BushProof has years of experience in implementing jetting campaigns and has conducted research proving the viability of this method. Specs: suitable for sandy aquifers with shallow water table; 63 mm PVC casing and screen; geotextile liner; maximum depth of 10 m; suitable for hand pump abstraction. 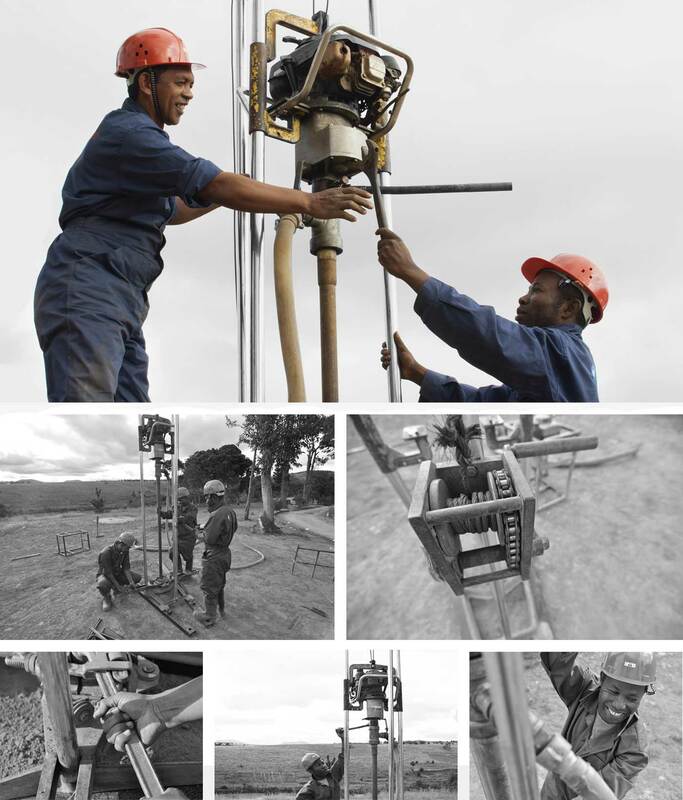 The Madrill technique (MAnual DRILLing) has been developed and tested by BushProof in Madagascar. It integrates the best parts of the EMAS and rota sludge techniques. The material is lightweight, inexpensive, and easy to transport to remote locations. Specs: suitable for all types of soils excluding hard rock formations; 150 mm diameter borehole; 75 mm PVC casing and screen; natural or artificial gravel pack; maximum depth of 30 m; suitable for hand pump abstraction. The PAT 201 is a semi-manual operated, lightweight and portable rig developed by PAT. 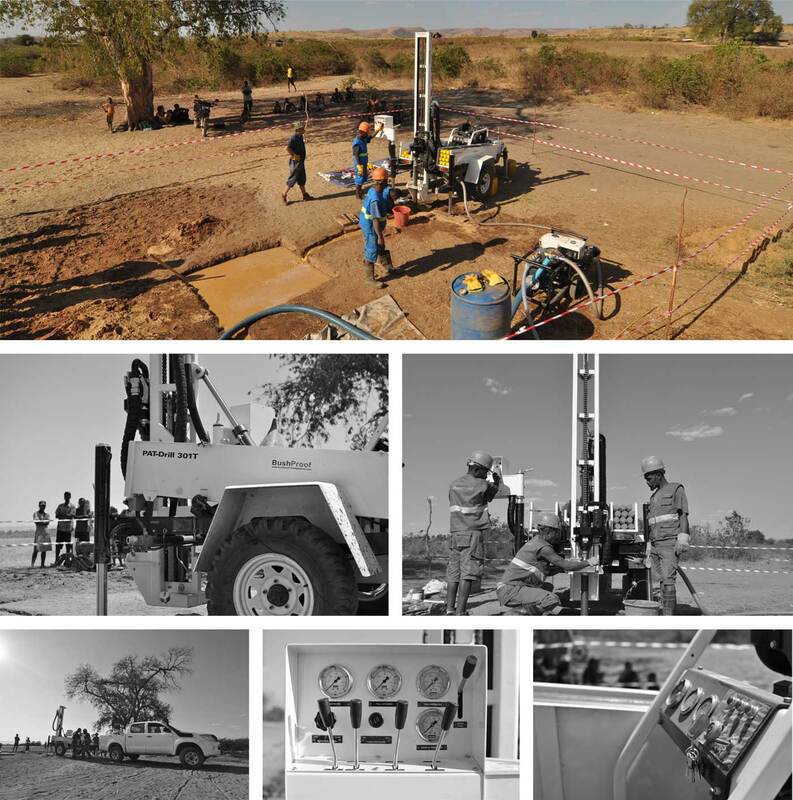 Specs : mud rotary drilling in alluvium to soft rock formations ; borehole diameter 4"-8" (100-200 mm), maximum depth 60 m. Allow to build wells of 75 to 140 mm diameter. The PAT 301T is a trailer-mounted, compact hydraulic drilling rig for both DTH-Hammer and rotary drilling developed by PAT. The 301T is set up with a centrifugal 14 Hp mud pump (1,000 litres/min at 6 bar) or 360 cfm / 12 bar air compressor. Specs : enables drilling in all soft and hard rock formations ; air / mud rotary drilling (4"-10") ; DTH-Hammer (4"-6"1/2), maximum depth 120 m. Allow to build wells of 75 to 200 mm diameter. BushProof can install large diameter hand-dug wells where its application is more suitable than a small diameter borehole. These wells are lined with either pre-cast concrete rings or special curved concrete blocks. We have a variety of custom well head designs that protect the well against contamination, and include the cover slab, pump support and drainage channel.